Any true Texan will tell you that, time permitting, he would rather drive across the state than fly over it. The insistence on driving is a fascination with the car (or truck), a primal need to be involved with the land’s expanse and the constant and continuing opportunity for discovery. Native Texans have an innate predilection for the land itself. Few states could harbor the quantity of eclectic treasure that Texas keeps on deposit and these are commodities that most of us do not want to over look. It wouldn’t be polite. Recently my wife and I came upon several instances of just this sort of inhabitant wealth. 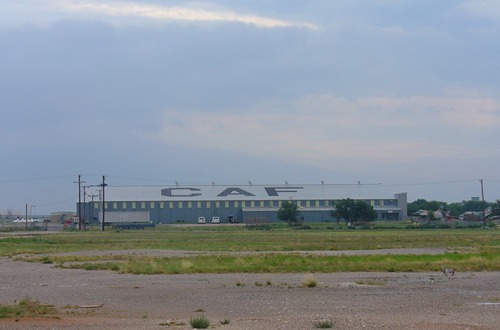 While on safari (we went in pursuit of wineries) through the west Texas savannah we noticed that almost every town, backwater, or village was proudly, and publicly displaying whatever claim to posterity or fame it had to offer. Not only was the person, idea, geologic formation or history mentioned by road sign or banner but, in fact, a museum had been founded to exhibit the source of communal pride. What follows then is a collection of photographs of several of these monuments to memory. 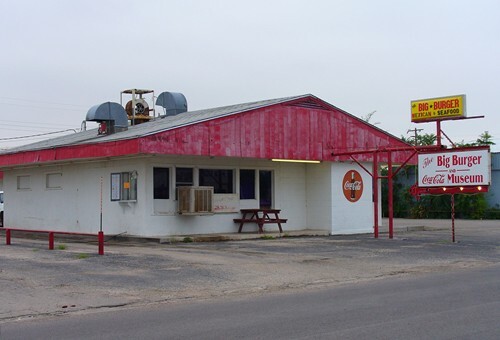 We drove the roads between Lubbock and Fort Stockton and while trying to document the sites as we came upon them- several times doubling back to recollect missed items- I am quite certain that we overlooked several. If there is an obvious omission I’ll apologize now however, understand that there is just a heck of a lot of stuff out there. 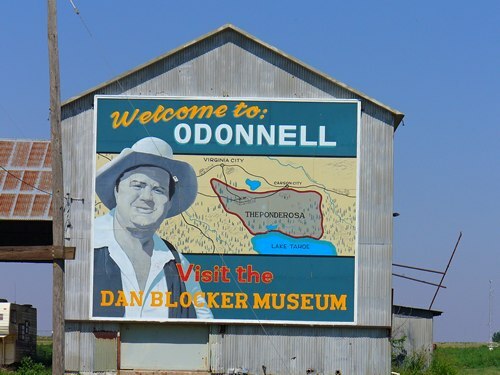 Road sign in O’Donnell, Texas, advertising the Dan Blocker Museum. Just south of Lubbock this sign is difficult to miss or ignore. After driving through the mid-summer greened, hyper-corrected kaleidoscope of cotton crop rows for close to an hour it is impossible not to notice this television icon hanging on the side of what seems to be an abandoned cotton gin. The actual Dan Blocker Museum in O’Donnell, Texas. A misnomer. 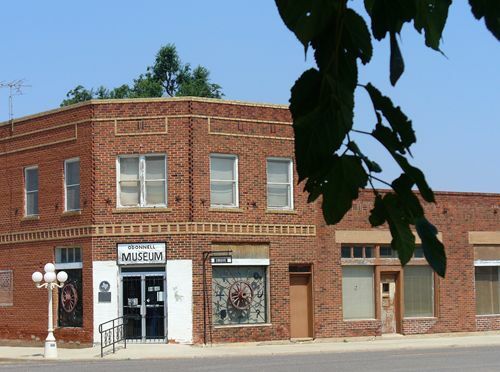 As the curator informed me it is not solely the Dan Blocker museum but rather there is simply a Dan Blocker area to the museum of artifacts which came from the “attics and backyards” of locals dating back to the 19th century. If you wish to pay the “Gentle Giant” respects, you’ll need to travel to Dekalb, Texas-that is where he was both born and buried. 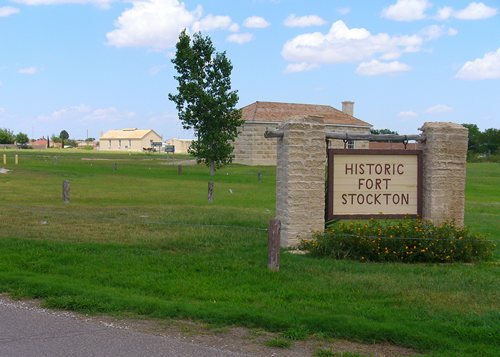 The historic portion of Fort Stockton, Texas. Barracks, stables, officer’s quarters make up this small section of town dating back to the nineteenth century. When coming into town this area is fraternally located next to the not-quite-as-historic downtown area. This part of town is located away from the interstate and was, at least by ourselves, overlooked for some time. The shop owners in the downtown area typically appeared to be a little forlorn. I hope I am mistaken. 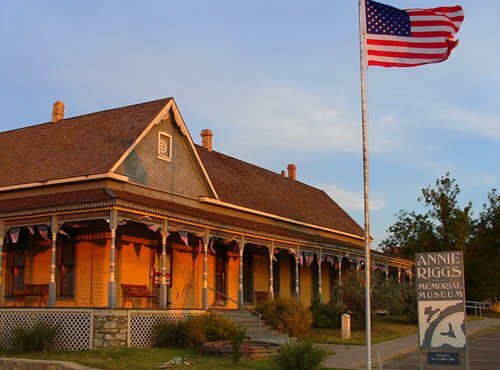 The Annie Riggs Museum in Fort Stockton. Built in 1900 as the Adobe Hotel, the museum houses not only 19th- early 20th century Pecos county artifacts but also curates an Archaeological Room which contains Columbian period Mammoth tusk. All we needed from Monahans, we assumed, was some gas, a diet coke and a not-too-old cup of coffee. However, this Coca Cola Museum presented itself as we drove the main street. Sadly, because it was early in the morning, the restaurant was closed and some nuance of the Coca Cola company was denied to us. Odessa Meteor Crater. I know. I couldn’t believe it either. It seemed as though God was marking the spot where he wanted Odessa to be founded. Maybe it is the divot left from some divine tee shot. In any event, realizing that this section of the state was touched (or punched) by some celestial body gives a particular majesty to the area. Just a couple of miles off the interstate, the museum is closed on Mondays. Still in Odessa lies the Presidential Museum and Leadership Library. It is a showcase for the biography and achievements of George W. Bush. A subject so vast that the area developers decided that the Ellen Noel Art Museum should be erected directly next door. The museums are so close together that they share a conjoining parking lot. The presidential museum also offers maps to the different residences of the Bush family around Odessa. The museum’s web-site states that the Leadership Library is available to “ learn more about President George W. Bush and his predecessors”; presumably for compare/contrast purposes. A couple of miles from interstate 20 off Loop 40, the Commemorative Air Force Museum is remarkable. 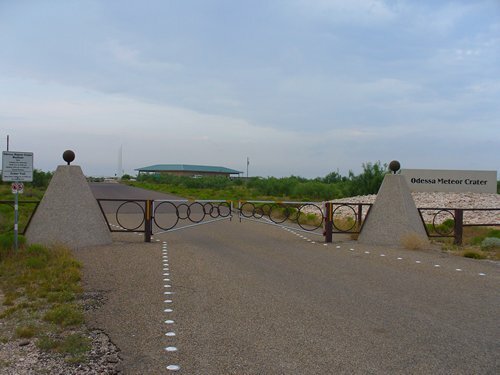 In the first place, the site is enormous-several acres and 40,000 square feet. Secondly, any male in the car will be fascinated by the salvaged, antique airplanes and military equipment in and around the hangars that are the museum. Follow the signs for the Midland airport. The museum is closed Sundays and Mondays. Just down the main street leading to this museum is a Vietnam Memorial-also not to be missed. 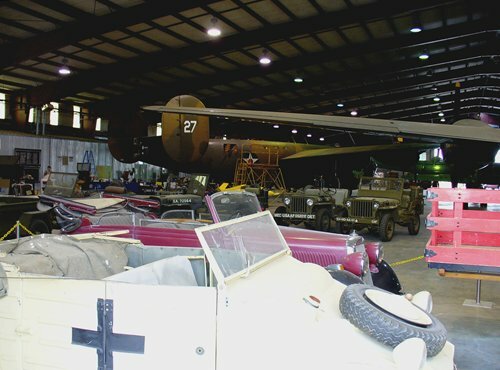 The interior of one of the CAF museum’s hangers. 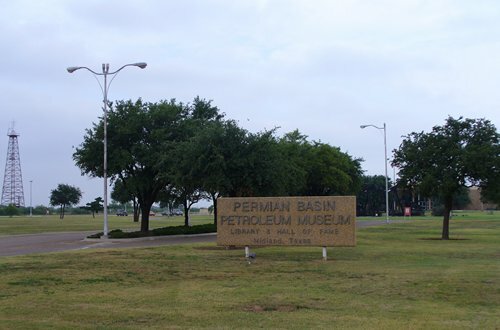 The Permian Basin Petroleum Museum just outside Midland. The subtitle is Library and Hall of Fame, I assumed for the particularly productive and well-behaved oil derricks. 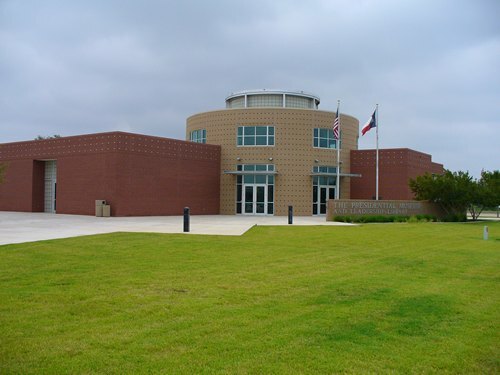 The museum is directly off the interstate on the westbound frontage road. 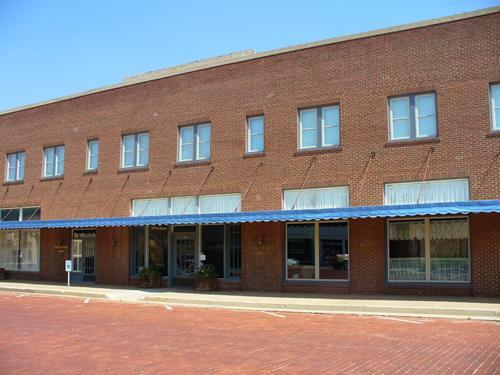 Erected in 1926 the Dal-Paso Hotel is now a museum in Lamesa, Texas housing local articles from the early 20th century. It was, strangely, closed in the early afternoon when we arrived. 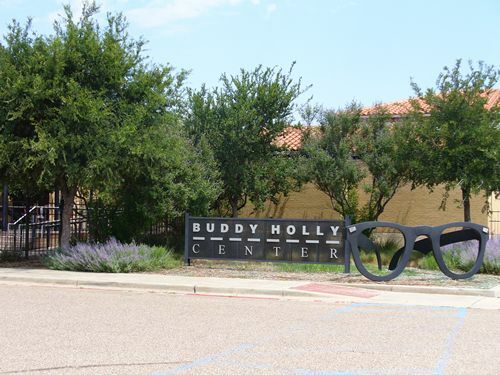 All the way back to the big city we encountered the Buddy Holly Center. Located on 19th street and avenue G (which is now termed, dear Lord, Crickets avenue) the Center is just another example of the renovations that Lubbock is putting itself through. The old “Tech ghetto”, and I mean that entire section of town, has been dispatched like a double-crossing gangster and condos and a massive interstate have risen from the omnipresent dust. The Center is closed on Sunday and Monday. I include the museum at Texas Tech for two reasons: First, one of my degrees I obtained from Tech and I have a soft spot for all things Raider. Second, I have always felt that the university receives unwarranted tertiary billing behind Austin and College Station. The planetarium alone is worth the trip.